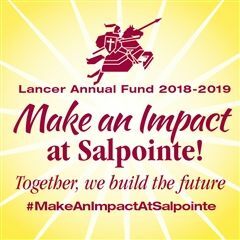 The Salpointe Alumni Council, in collaboration with the Salpointe Theater Department, invites you to join us during the holiday season for an afternoon of socializing with fellow alumni, drinks, snacks and a special performance of Footloose. The event begins at 1:30 p.m. followed by the performance at 2:00 p.m. Please click here to purchase your tickets.